Cerulean’s family-friendly menu features Asian inspired dishes with a Midwestern feel. 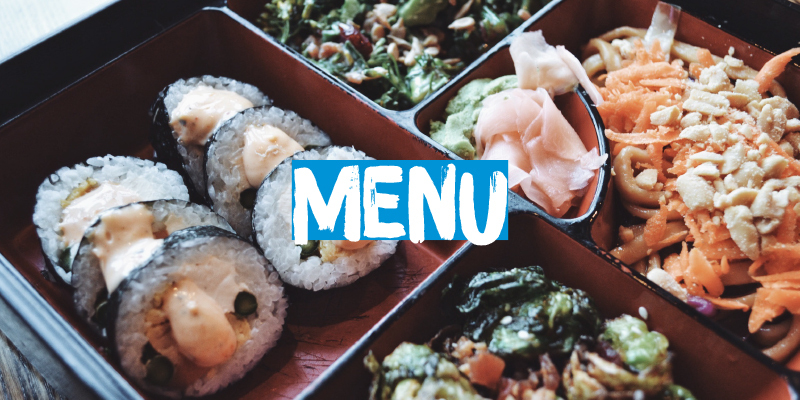 Our Bento boxes allow you to create your own meal by pairing an entrée with a selection of sides. You can also enjoy one of our ramen bowls, steam buns, and a variety of sushi selections. Complement your meal with one of our signature cocktails, wines, or craft-beer selections. We also have a children’s menu featuring kid-friendly bento boxes.